work from home | Let's Biz Up! Thank you for coming this far and watching the 10th video in this series. By now you’ll have the understanding of how I retired from engineering at the age of 39. YOU TOO can do it. Me too I’ve made a LOT of mistakes. It is part of what made it possible to be successful today. But that doesn’t mean that you should suffer the same mistakes, especially if they are common mistakes that can be avoided. (Create your own Sketch Video? Click here)So with this process You attract traffic from different platforms and most of it goes to your capture pages and blog posts/pages. Video 7 of 10 – Internet Marketing Systems That Work! I Would always Recommend A Proven System That has worked for Thousands Around The World. Video 6 of 10 – The Salesperson vs The Solutions Provider. Selling to me was associated to being a car salesman… to PUSH a sale… to always be Closing a Deal. Video 5 of 10 – How Does Making Money Online work? How Does the internet really work? 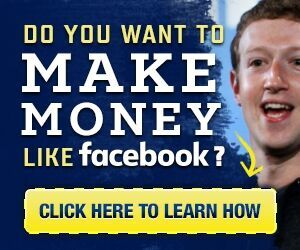 How can you make money from it? In this video I wanted to break down some points for you. Hourly Based vs Performance Based Incomes. Sales Person vs Solutions Provider. Do the wealthy people of the world rely on hourly based income models on themselves… or on their employees? Let’s look at two different types of earning money. Video 4 of 10 – Does Working from Home Really Work? In light of the recent presidential elections in the US (agree or not agree with the outcome), I was inspired to write this article based on the principles of the “American Dream”! It is not a simple business plan which you can find in books and it’s not a software program which you install on your computer. No, it’s the national ethos of the United States, a set of ideals in which freedom includes the opportunity for prosperity and success. In plain and simple words; believe in yourself, have dreams and make the impossible possible! A typical American Dream is the story of Mark Zuckerberg, the founder of Facebook. Started as a simple IT student he and some friends had the idea to create a social website… The rest is history!